Southern Garrett High School, the largest educational facility in predominately rural Garrett County, Maryland, strives to provide students with a variety of educational experiences to meet their individual needs. By providing successful school experiences, we prepare students to become life-long learners. We challenge students to strive for personal excellence and responsible citizenship as they develop intellectually, socially, emotionally, and physically. The mission of Southern Garrett High School, in partnership with our community, is to provide rigorous instruction within a nurturing environment. We dedicate ourselves to educate and inspire all students to become innovative, adaptive, and caring citizens who can thrive in an ever-changing world. Click on the picture above to view the morning announcements. Thank you to our business partners. Your partnership shows your commitment to the students of Southern Garrett High School. 1st Peoples Community Federal Credit Union, March business partner of the month. 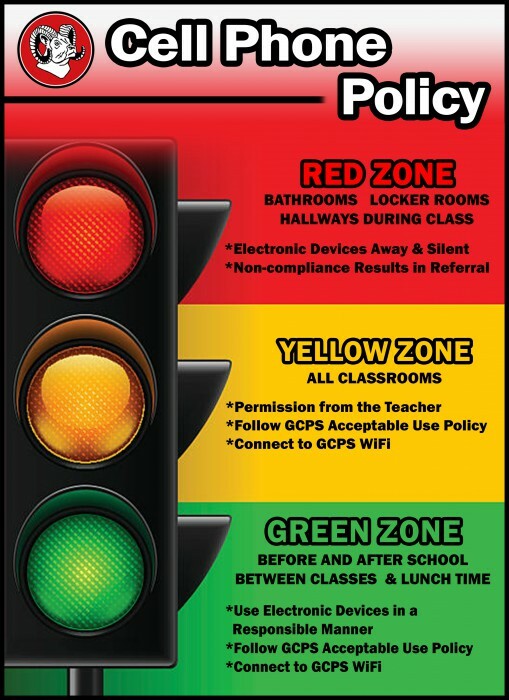 -Students in possession of a cell phone must comply with Garrett County’s Acceptable Use of Technology Policy. -Staff may request at any time that students turn off and put away devices. Failure to do so may result in disciplinary action and/or revocation of privileges. -Students must obtain explicit consent from staff and participants before using the camera and video recording applications. 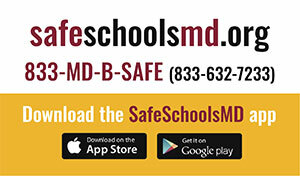 -Any disruption to class or the school environment using a cell phone may result in disciplinary action. -Students are expected to continue to use the school office to place phone calls. -Individuals assume full responsibility for their devices, including safety, security, and maintenance. -Respect others in your area (phone calls should occur in the main office and speakers should be silent). -Cell phones should ALWAYS remain on silent during the school day. -Students should be aware of surroundings when moving throughout the halls during class change for safety reason. One earbud out at all times unless directed by staff. The Garrett County Chamber of Commerce is now accepting applications for 2019 Autumn Glory Royalty Court. The Chamber invites all students in their junior year to submit an application and fee to the Chamber by Friday, April 26, 2019. The Chamber will choose a King and Queen for Court and both will receive an educational contribution. Please see Mrs. Cosner in the Main Office for an application. At this time of year with the change in seasons, people are often feeling happier with the increased sunshine, warmer days and longer evenings. But we know that for some people they may believe that they have unsolvable problems and situations that make them very unhappy. They may be angry and blame themselves for difficult situations. They may want to hurt themselves or find a way to make the bad feelings stop and go away. If at times you feel this way, or you know and worry about another student, please go to and tell a trusted adult. There are many adults in your school that want to help if students will talk to them. We want everyone in our school to be safe, so please ask for help if needed. Looking for a job? Juniors and seniors are eligible to sign up to attend the Garrett County Job Fair on April 25 at Garrett College. Bus will be provided and leave after lunch and return by the end of the day. Sign up in guidance or during lunch with Mr. Bonser. The Marching Band is selling tickets for it's upcoming Big BUCKS BINGO which will be held on Saturday, April 6 at Dennett Road School. Doors open at 4pm, games start at 6:15pm. Tickets are $30 with three $500 payouts. All proceeds from the event to benefit the marching band. Contact Mark metz, boosters president at 301-616-3257 or Mr. Shaw at southern HS. The freshman class is currently selling Krispy Kreme doughnuts. All orders are due to Mrs. Hines by April 10th and orders will be delivered on April 29th in the SHS Cafeteria from 3:15-4:30. Here are all of the options for doughnuts (per dozen) and coffee (12 oz): Glazed $9; Chocolate Iced, Chocolate Iced with Sprinkles, Lemon, Kreme, and Raspberry $10; Coffee (Smooth Blend, Rich Roast, Decaf) $10. The Sophomore class has begun their annual fundraiser from The Pie Shoppe. Students received their information/selling packets on Friday March 15 with money and orders due by the end of the day on April 5. The pie orders will be delivered just in time for Easter on Monday April 15. Pies will be available for pickup starting at 1:30 pm and continuing after school. Varieties include: chocolate meringue, coconut meringue, lemon meringue, apple, dutch apple, blackberry, wild blueberry, razzleberry, cherry, peach,and raisin. Also available for order: pumpkin rolls, nut logs, and Easter bread (plain or with raisins). Please contact Sara Shaffer, Sophomore Class Advisor, with any questions at 301-334-9447 or sara.shaffer@garrettcountyschools.org. Many members of the junior class are selling Yankee Candle products. Order forms and money are due to Mrs. Pyle by Monday, April 1st. Delivery will be just in time for Mother's Day. The delivery date will be released at a later date. If a junior would like to sell and has not received a catalog, please email shsprom@gmail.com. If you would like to make a purchase, you can do so online by visiting www.yankeecandlefundraising.com and entering group number 990093352. Thank you in advance for supporting the junior class. 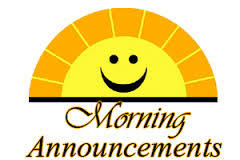 The JROTC is holding a car wash on May 11 at Advance Auto in Oakland, MD.from 9:30 am -1:30 pm. Donations accepted. Garrett College is hosting two Explore Garrett Open Houses. These events are scheduled from 9:30 a.m. – 12:30 p.m. on Saturday, March 30th and Saturday, April 27th at the McHenry campus of Garrett College in the Science, Technology, Engineering and Math (STEM) building. 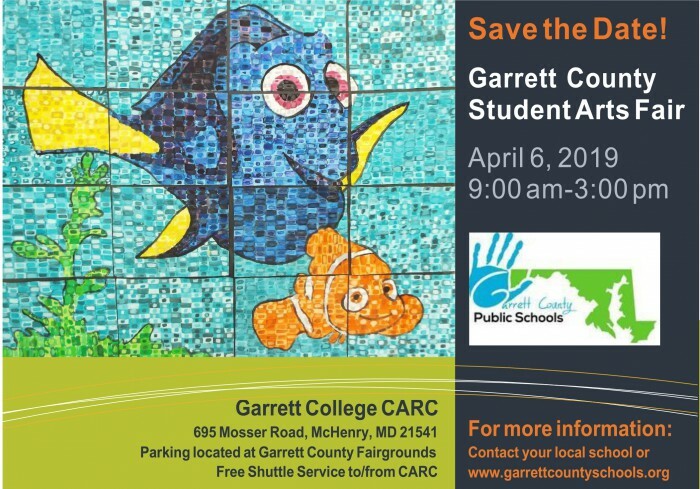 Prospective students and their parents are invited to learn about the admissions and financial aid process, tour the Garrett College campus, including the residence halls and recreational facilities at the Community Aquatic & Recreation Complex. In addition, those in attendance will have the opportunity to learn about the unique programs of study that Garrett College has to offer, including engaging in conversation with program faculty. Representatives will be on-hand to answer questions about seamless transfer agreements that Garrett maintains with four-year colleges and institutions. Scholarships, financial aid, athletics, on campus housing, and student support service information will be available to share during each session. Students can get more information and RSVP online at https://www.garrettcollege.edu/explore-garrett.php. Seniors can see Ms. Heather Savage to order their 2019 Senior Edition. The 60+ page, full color senior keepsake is full of photos and memories for only $20. The Senior Edition is created by The Acorn staff each year featuring senior bests, photos and articles featuring senior activities and senior wills. See Ms. Savage before and after school, during period 2 or RAMS period to order a 2019 Senior Edition today. Senior Edition group photos for athletics, activities and career pathway completers will be held during RAMS on March 26, 27 and 28. A schedule of photo times and groups is forthcoming. There will be a required graduation meeting for seniors during advisory on Thursday, April 11. All seniors are required to attend. Questions, contact Maria Zumpano at the school. What Does Your Future Hold for You? Transition planning involves thinking about your life during and after high school and developing a long-range plan so You Create Your Own Future. Garrett County Schools will host its first annual Transition Fair held at the Career Technical Training Center in Accident, Maryland on April 17, 2019 from 8:30 a.m. to 11:30 a.m. Sophomores, Juniors and Seniors working toward graduating with a high school diploma are invited to attend. Students will have the opportunity to meet with Local Employers, Agencies, and Colleges as well as visit the GC Workforce Development Programs. In addition, parents will be provided transportation to and from CTTC. There will be informative planning meetings held on March 21 during Enrichment Period at NHS and on March 28 during RAMS Period at SHS. Students invited will be notified and a field trip form and information to share with parents will be sent home. If you have any questions, please contact Denise Hartman, Transition Teacher at 301-334-8900 ext 2112 or Susan Henline at 301-334-7654. Please plan to attend and take one more step in Creating Your Future!!! The Vietnam War Oral History project is still seeking names and contact information of local Vietnam veterans. The veterans will be contacted to see if they are interested in participating in an oral history project conducted by Southern High School students that will result in a local history publication, similar to the book produced for our local WWII and Korean War veterans in the past. These previous projects were conducted in conjunction with the Garrett Historical Society as is this one. Interviewing will be conducted this spring. Local veterans would include those who were born in GC, who grew up in GC, or who currently live here. Veterans who call Garrett County home. We are also interested in those who may want to be interviewed from the home front, for example wives, mothers of soldiers and other family members who might have a rich story to tell. Many local Vietnam veterans have been interviewed by students over the past several years resulting in a rich learning experience that goes beyond the classroom. Project coordinators Veteran Jim Glotfelty, Veteran Gene Johnson, and social studies teacher Heather Savage are seeking additional veterans and their stories. In addition, those who did not come home will be remembered in the book. Veteran Gene Johnson has worked diligently to recognize these local men in a recent publication. Anything we could add to his work, which will be included in the oral history book, would be appreciated. Please email/contact Heather Savage at heather.savage@garrettcountyschools.org, Mr. Gene Johnson at gene.johnson677@gmail.com or Mr. Jim Glotfelty at jimglot@verizon.net with names and contact information.